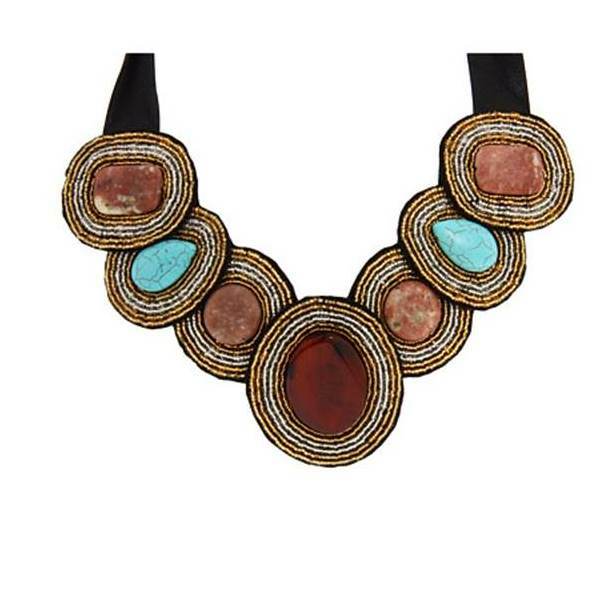 This bib necklace consists of multiple gemstones perfect for adding a splash of color to wardrobes. 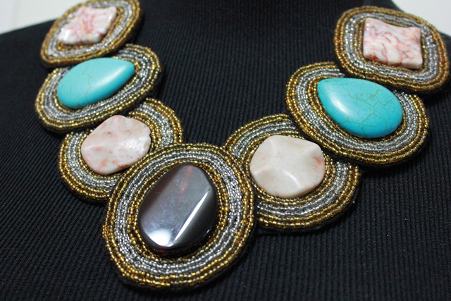 It consists of turquoise colored magnesite, tiger eye, and howlite accented with gold and silver seed beads. Black ribbon makes this piece adjustable in length.